Formely known as The Law Office of Laurence L. Christensen, P.C., Burgess & Christensen was founded upon a single mission: helping people with disabilities get the benefits they deserve. 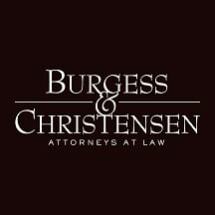 Since 1976 our law practice has been limited to Social Security Disability law. We have over 30 years of experience in this field. In addition to handling claims for Social Security Disability Benefits and Supplemental Security Income Benefits, our office is pleased to offer representation in claims for Social Security Children's Disability Benefits as well as assistance to those who have received benefit overpayments from Social Security. Burgess & Christensen will evaluate your case to discuss the details of your Social Security claim and determine the benefits to which you may be entitled.